–Teeth whitening: save yourself some time and money on the whitening strips! These guys will help out with keeping those pearly whites….white! 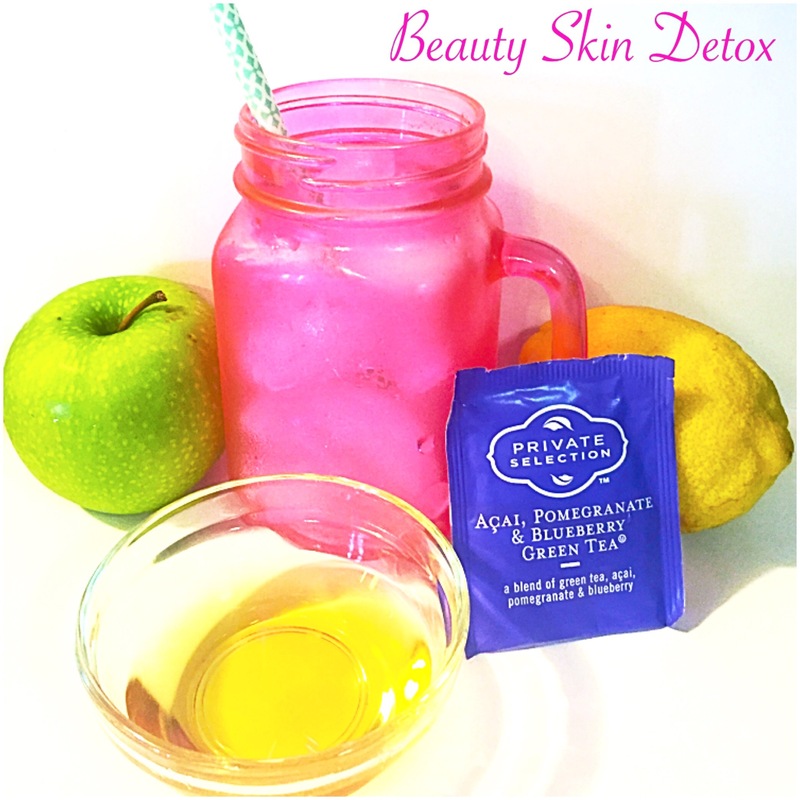 –Skin: Apples are full of amazing benefits for skin..they hydrate, tone & provide a youthful glow. Like apples, lemons have properties that will whiten and brighten your skin & teeth. They will detox and rid body of toxins helping aid in weight loss as well. Drinking your water will definitely show on the outside! It helps keeps skin fresh. It’s will aid with puffy, dark eyes and help keep skin clear. Green tea is proven to be high in antioxidants and help cell growth. You can always incorporate these things in your day without making one big drink. I make sure to always drink water throughout my entire day..add lemon whenever you can. I love teas, so I always have atleast one glass a day with honey. Then just make sure you have a fresh apple for a snack! I’ve grown used to the flavors, so packing into one major drink is fine. I pour over ice or enjoy it hot. Mixing these things in to a smoothie is great too! I’ll put together some ways to apply these things directly to skin for you lovely ladies as well! I hope you enjoy! Stay beautiful wonderfuls!! !